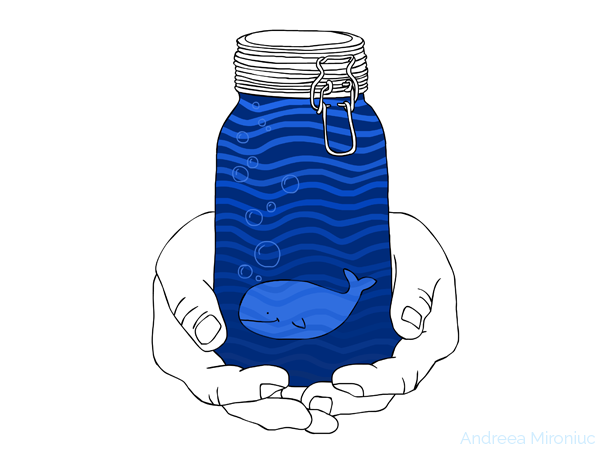 A mini whale in the Happy Jar for Sirio. 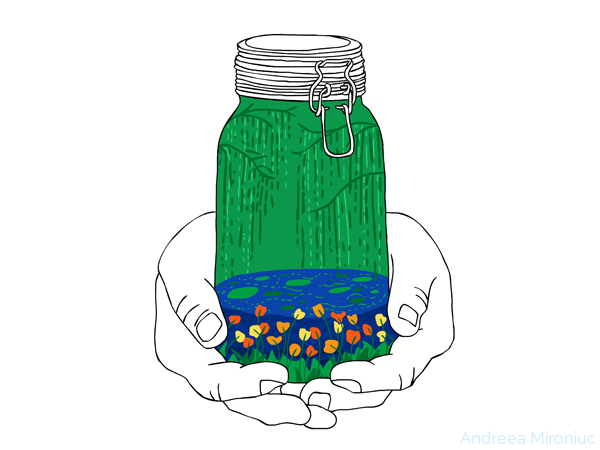 Marisa’s Happy Jar is full with smiles. 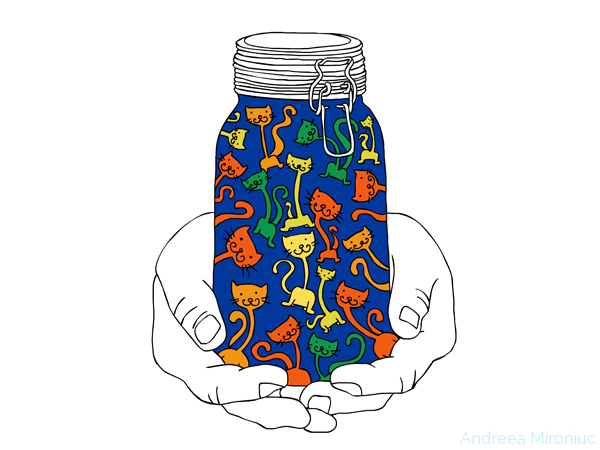 A lot of kittens in Raluca’s Happy Jar. 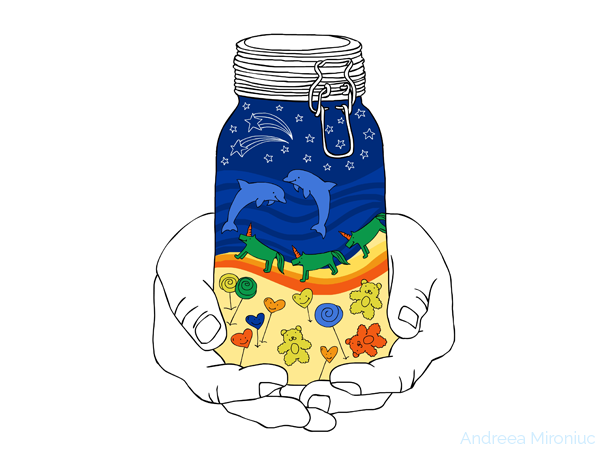 Daura has in her Happy Jar smiling hearts, lollipops, teddy bears, shooting stars, rainbow unicorns and dolphins . 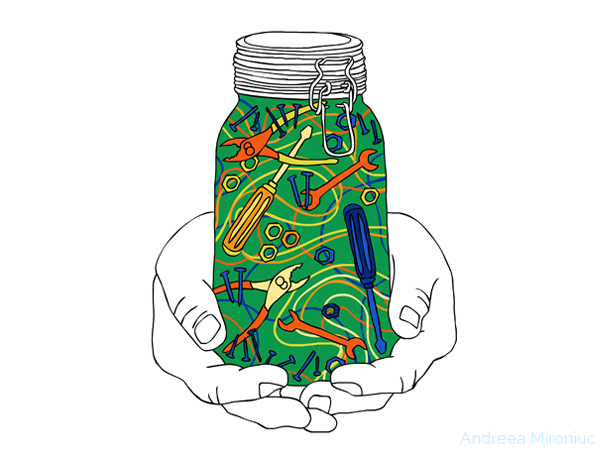 Screwdrivers, grinders, jackhammer, pliers and a lot of wires in Cristian’s Happy Jar. 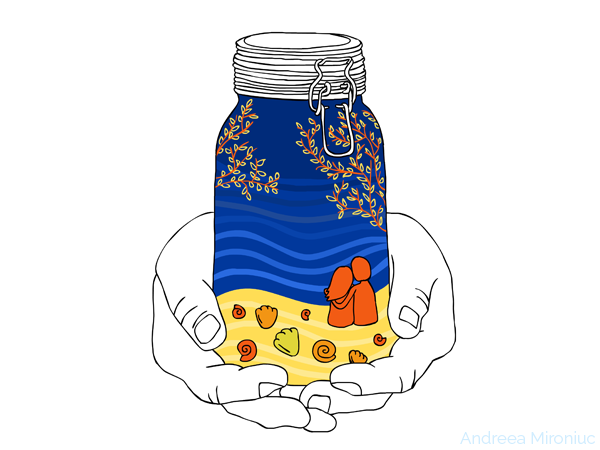 Nacho has in his Happy Jar the Barcelona beach in autumn . 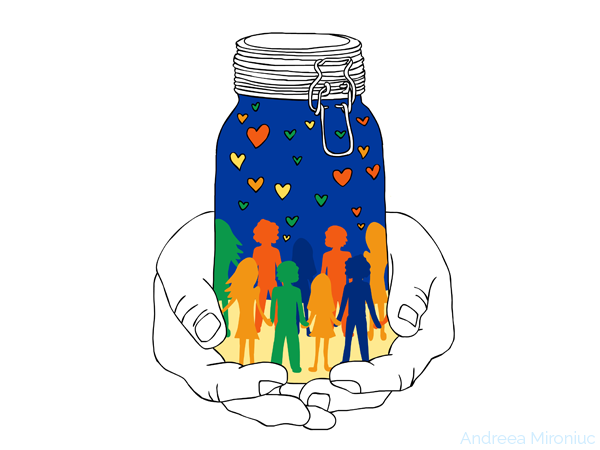 A Happy Jar full with all his Erasmus friends, for Maël. 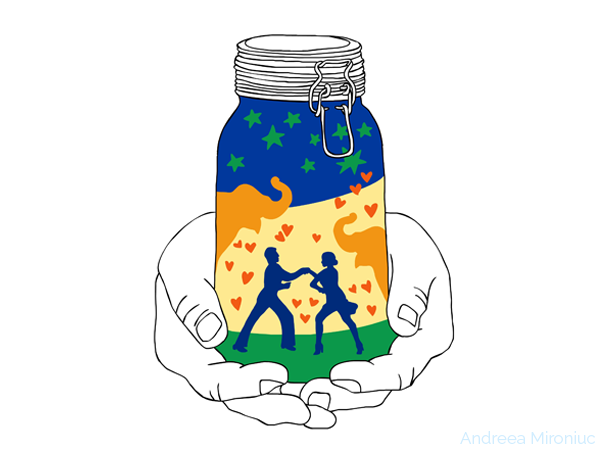 Dance, elephants, stars in green and lots of loving hearts for Finn’s Happy Jar. For Mariana happiness in a jar is Giverny by the ocean.